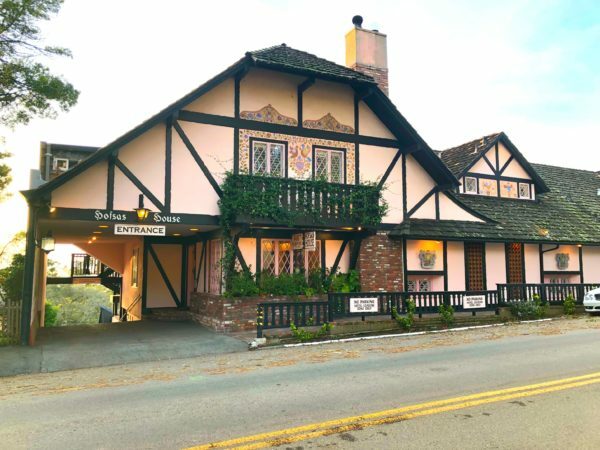 Looking for a perfect weekend getaway ?We’ve got a trip to Carmel-by-the-Sea for you, and it’s filled with food, adventures, and family fun! It all starts with Hofsas House, which is the perfect home base for your adventures. 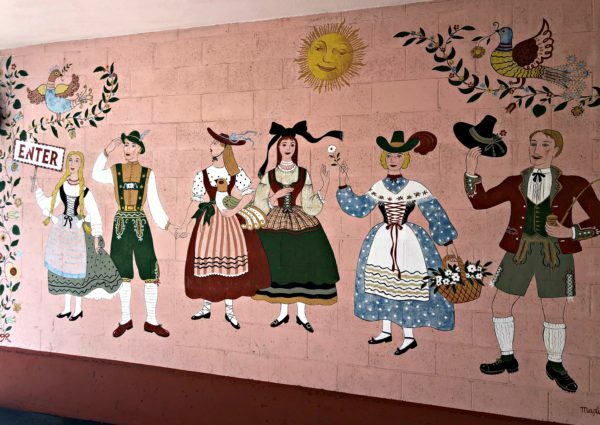 Hofsas House is filled with old-world charm, with its pink exterior and Bavarian-themed decor. 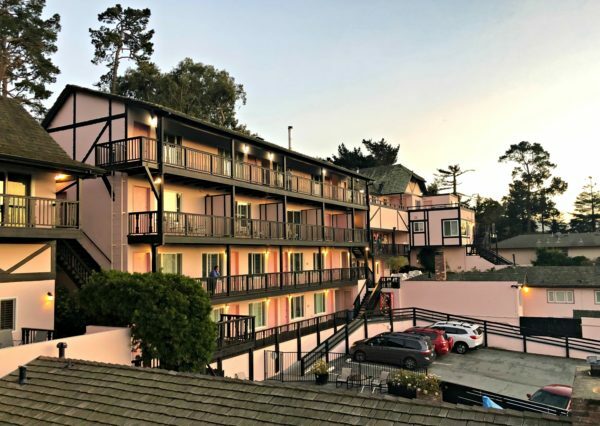 It’s within a very short walking distance of everything you want to see in Carmel and it’s just minutes from Monterey, Pebble Beach, Big Sur, and Pacific Grove. Hofsas House has 38 spacious rooms that can fit just about anyone’s needs. A two-bedroom, two-bathroom suite, with one king bedroom and one room with two twin daybeds, is perfect for families. Various rooms throughout the hotel offer amenities such as fireplaces, private balconies with ocean views, wet bars, kitchens, and patios. Every room has a Dutch door that allows you to open the top half to capture the ocean breezes. 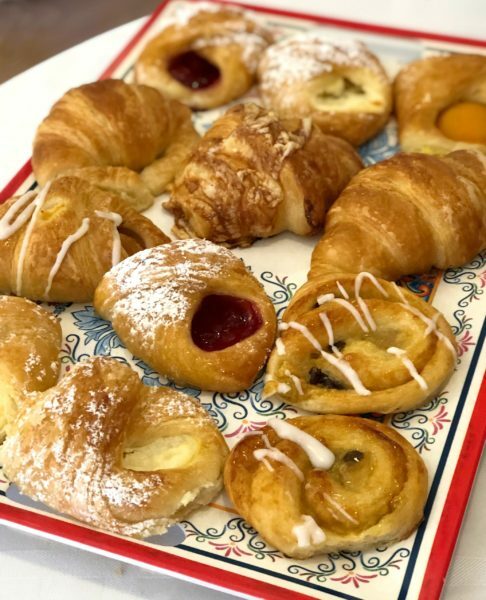 Oh, and parking is free; WiFi is free, and breakfast is free – an amazing assortment of fresh pastries from Carmel’s Paris Bakery, plus fruit, yogurt, coffee, tea, and hot chocolate. 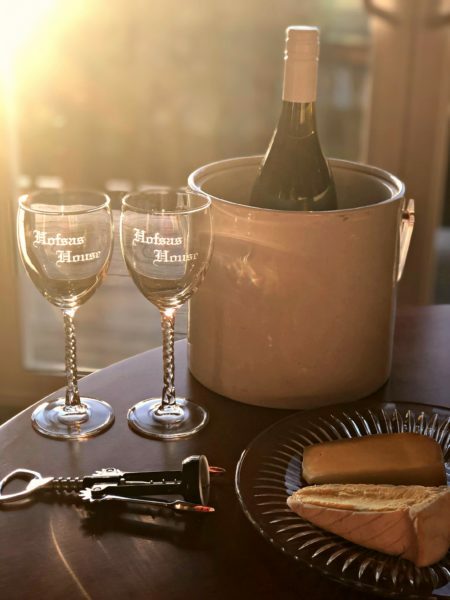 By the way, make sure to take advantage of the wine and cheese package – it will be a welcome site waiting for you, particularly if you arrive just in time to enjoy the sunset like we did. 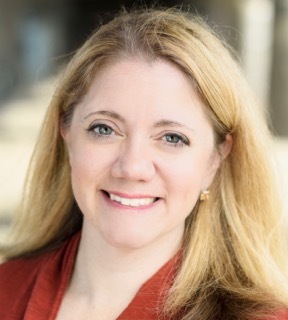 You’ll notice special touches throughout the hotel, including a mural and various paintings by artist Maxine Albro, who is known for her mural at Coit Tower in San Francisco. If you’re lucky enough to stay in Room 47 at Hofsas House, you’ll see a headboard on the bed painted by Albro. When you’re ready to step outside the hotel, Hofsas House has a variety of partnerships for special deals on outings. You can enjoy golf with Hofsas House’s partnership with four different golf courses in the area. For the Monterey Bay Aquarium, you can purchase tickets through Hofsas House to get a two-day pass for the price of one (great for parents of little kids who only have a few hours’ worth of stamina). 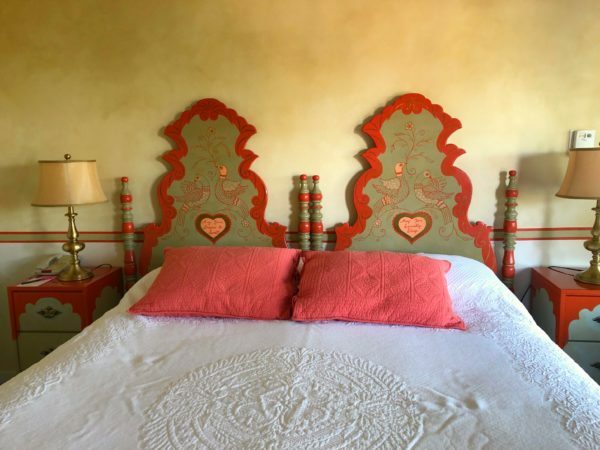 Hofsas House can also help arrange for wine tasting and tours, art walks, a spa package, and even accommodations and treats for your dog. 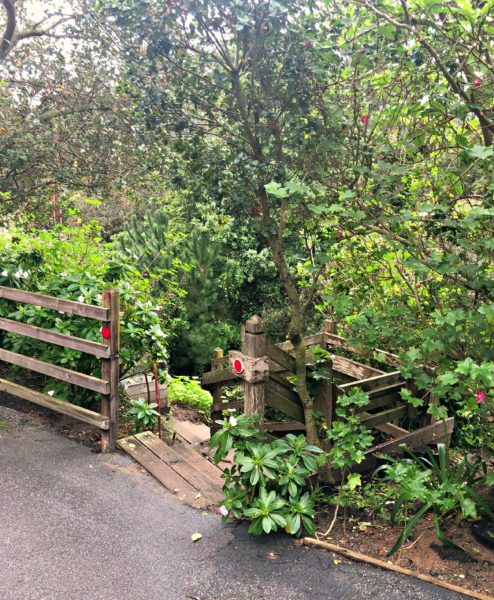 Just steps from the door of Hofsas House is the storybook-perfect little village of Carmel-by-the-Sea, an art- and food-lover’s dream come true. As you walk around Carmel, you’ll notice that there are no neon lights of any kind and all of the signs are made from wood or wood-like materials (hence the gas station with the carved wood sign). Trees take precedence over just about anything, which is why you’ll be walking or driving along and suddenly there’s a tree in the middle of the sidewalk or road that you need to maneuver around. If you’re looking for lunch – especially one that you can bring to your favorite picnic destination, just head right down the street and around the corner to 5th Avenue Deli (on 5th between San Carlos and Dolores). At 5th Avenue Deli, we picked up a set of box lunches – including deli sandwiches, apples, chips, and a cookie – to bring down to the beach. You can also choose from their widely varied menu to create your own sandwich, or choose from salads, soups, or hot items like chicken pot pie, lasagna, salmon, and more. Ready for something sweet? 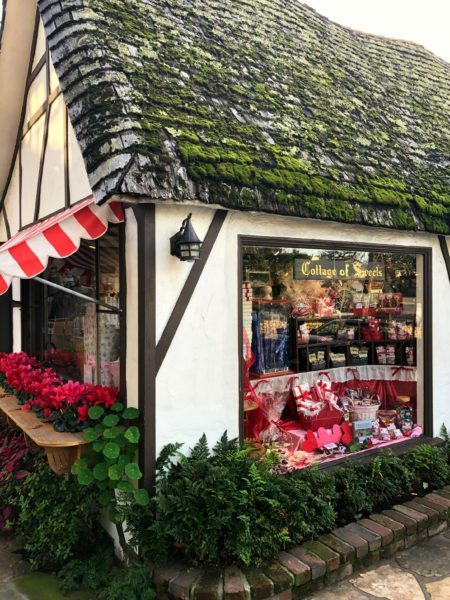 Just a few blocks away is the adorable Cottage of Sweets, a British-style candy shop that makes its own fudge. How good is it? Cottage of Sweets was named one of the top ten candy stores in the country by USA Today in 2009, and it continues to draw lines of sweets-loving kids and adults. We were especially partial to the dark chocolate sea salt caramel, but our kids were fascinated by the wealth of every imaginable kind of candy lining the entire shop. Two blocks from Hofsas House is Hog’s Breath Inn, a picturesque little restaurant once owned by Clint Eastwood. You can dine al fresco, next to a crackling fireplace and beneath towering trees lined with twinkle lights. The food is fresh and local (we loved the local sand dabs), and the service is so fast it was as if they had read our minds about what we wanted to eat. The adults in our group enjoyed Scheid Vineyards‘ tasting room, which offered an amazing and generous selection of wines, coupled with extremely knowledgeable servers. There we tried our first-ever Rousanne, which is a stunning varietal with melon and fruit flavors and a very distinct finish. Again, the tasting room is so close to the hotel that it’s an easy stroll – no need to worry about driving and parking. For day-tripping, you can easily walk right down Ocean Ave. to get to the beach at Carmel, or you can drive just a few miles to get to Point Lobos State Natural Reserve (known as the “crown jewel” of California’s park system. It’s mostly rocky beaches along this stretch of the California coastline and the scenery is stunning. 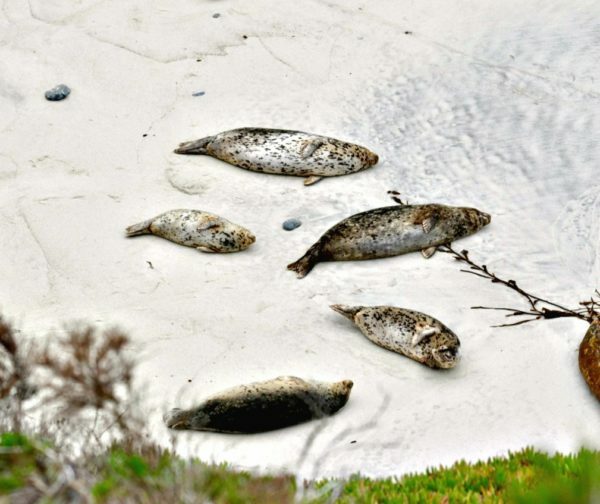 Tip: When you’re at Point Lobos, follow the trail to Bird Island, and if you’re lucky you may get to see a crew of napping seals along the shore. Another great outing is to head to Monterey, which is just a 12 to 15 minute drive away. 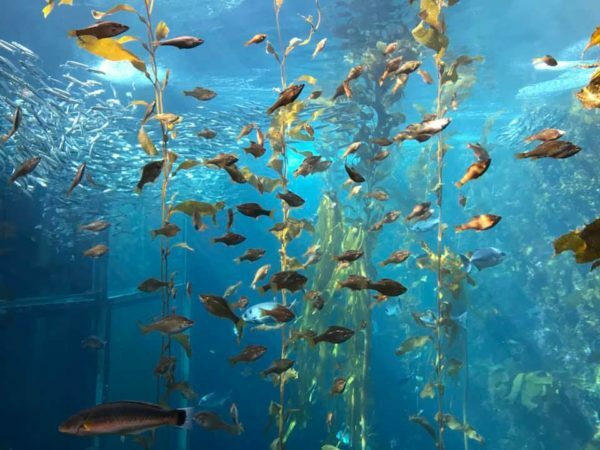 Of course once you’re there you’ll want to see the world-class Monterey Bay Aquarium, with its impressive kelp forest, its Open Sea wing, and its adorable sea otters. Hungry for dinner? Don’t miss Abolonetti Bar and Grill on Monterey’s Fisherman’s Wharf. Abolonetti’s is one of Monterey’s original restaurants, and it has devotees that go back at least a generation. (“Abolonetti” is the term for squid when it is prepared like abalone.) 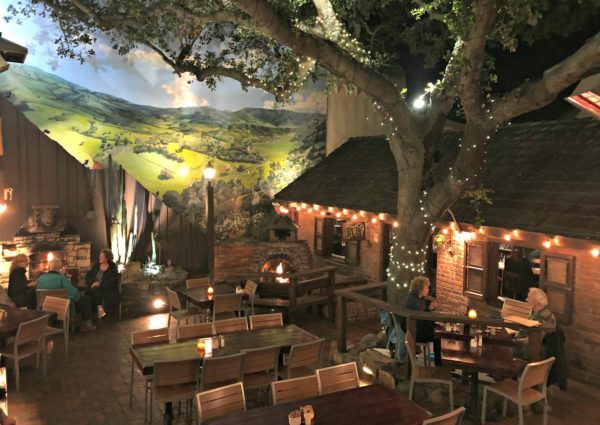 Abolonetti’s features more than a dozen varieties of squid dishes – garnished with plenty of other local delicacies like Gilroy garlic and Castroville artichokes. There was so much to see and do in Carmel, we felt like we had only barely scratched the surface in a weekend. 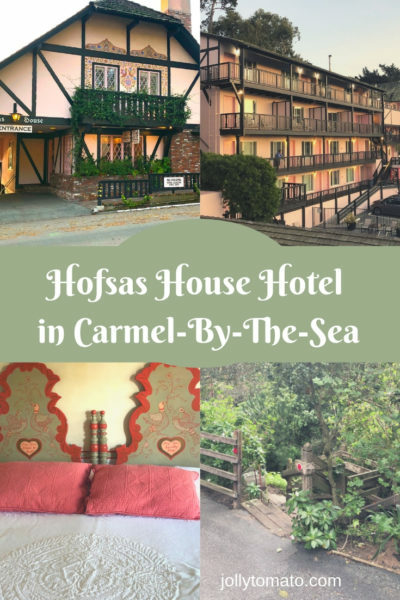 But we’re sure we’ll be back – and looking forward to our next stay in the heart of Carmel at Hofsas House. 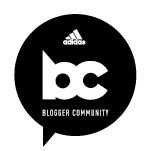 Blogger disclosure: This is a sponsored post on behalf of Hofsas House. Hofsas House provided me with a free stay in exchange for a review. We were also treated to lunch at 5th Street Deli and dinner at Abolonetti. All opinions expressed are my own.